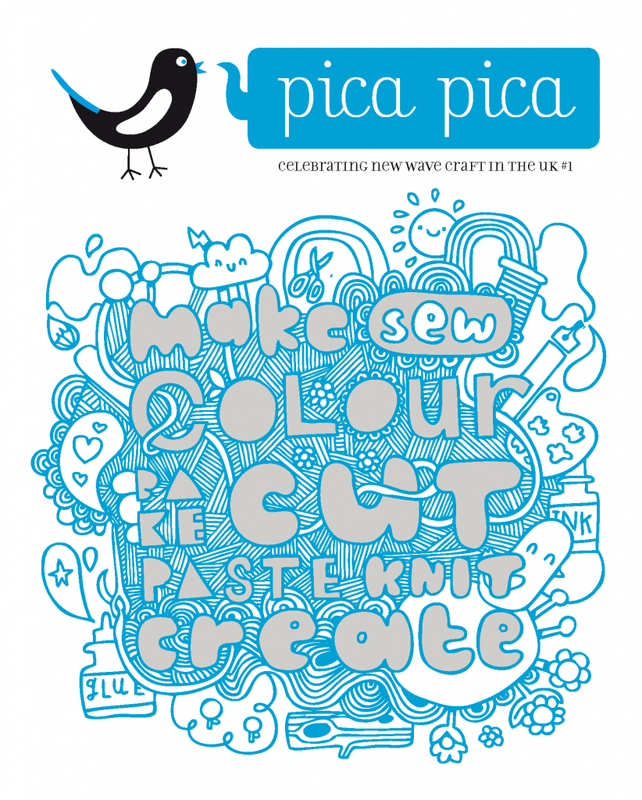 Zeena Shah from heart zeena is running a patchwork keepsake workshop at the V&A tomorrow night as part of their Stitched Up event. 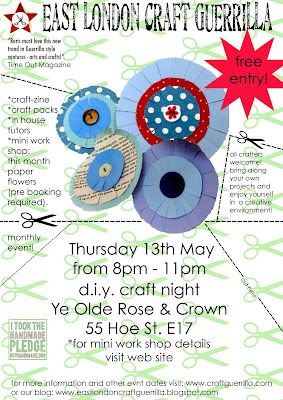 It looks like a fantastic evening of craft and a great chance to see the Quilts exhibition! Here's a little beauty you'll be able to make at the next d.i.y. 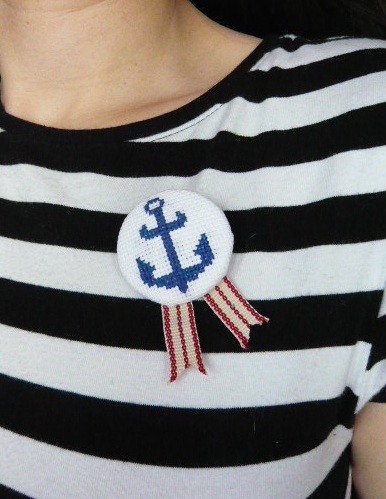 craft night...not just a great accessory but also an introduction to cross stitch. Thursday 13th May 2010 from 8 pm. Ye Old Rose & Crown. 55 Hoe Street E17. 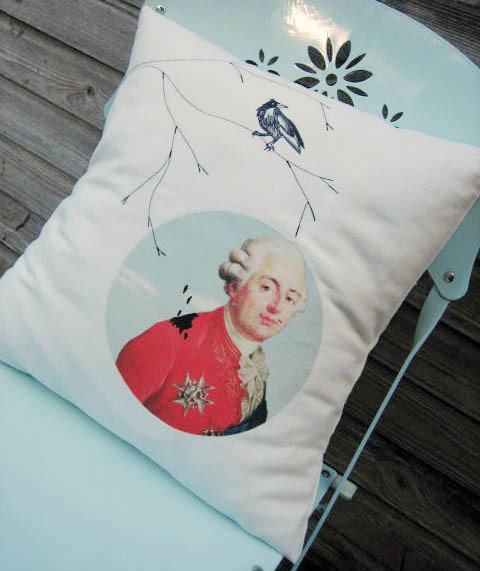 A sneaky peek at what's to come...Let them eat cake! 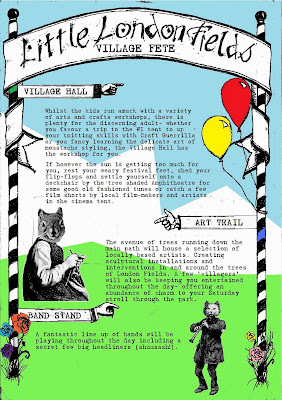 A Craft Guerrilla Craft Market wouldn't be complete without lashings of tea and luscious CAKE. 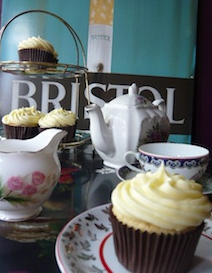 Tea time dollies Deborah aka Handsome Betty and Karen aka Crème Anglaise will be selling their splendiferous cupcakes* and Vintage inspired cakes* at their sugary sweet "let them eat cake" bar. Complimentary tea and refreshments for all...and that includes Cocktails! *Please note: all cakes are baked fresh using lovely organic and free range ingredients. Not suitable for people with a nut allergy. 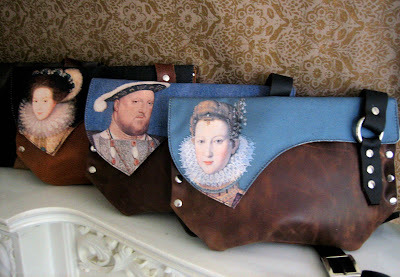 A sneaky peek at what's to come...Handmade by Louise! 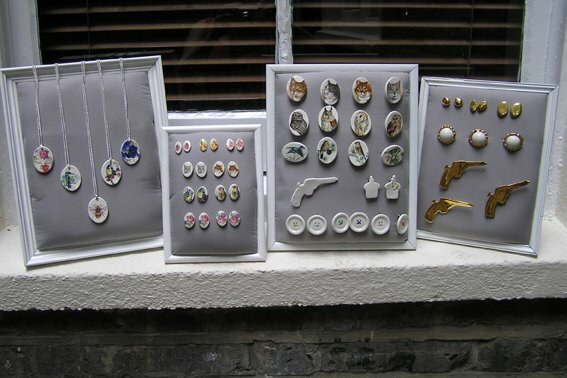 We're chuffed this little lady is back with her her beautacious ceramic accessories. 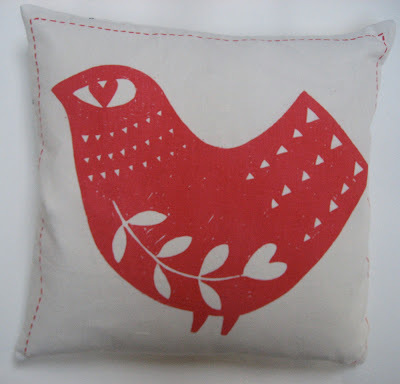 A favourite at past craft markets she'll be back with us in May for our first edition. Can't believe it's only a month away!!! 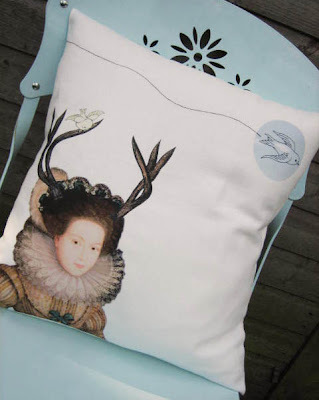 I so hope she'll be bringing some of her home wares too. 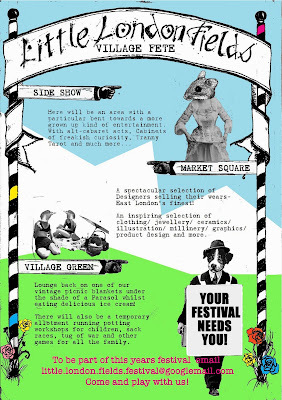 Keep those peepers peeled for more fabulous urban craft, delicious folk artists and modern day "craftalites"! 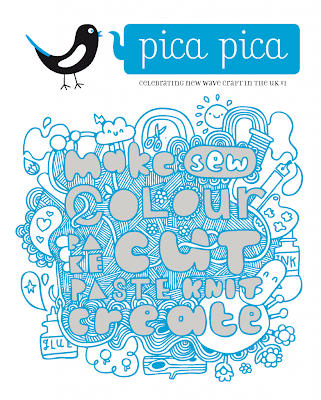 Here's a great publication: Pica Pica... and we're in it! Really good job guys and girls,the magazine looks awesome. Brighton rocks...all the way into the woods! 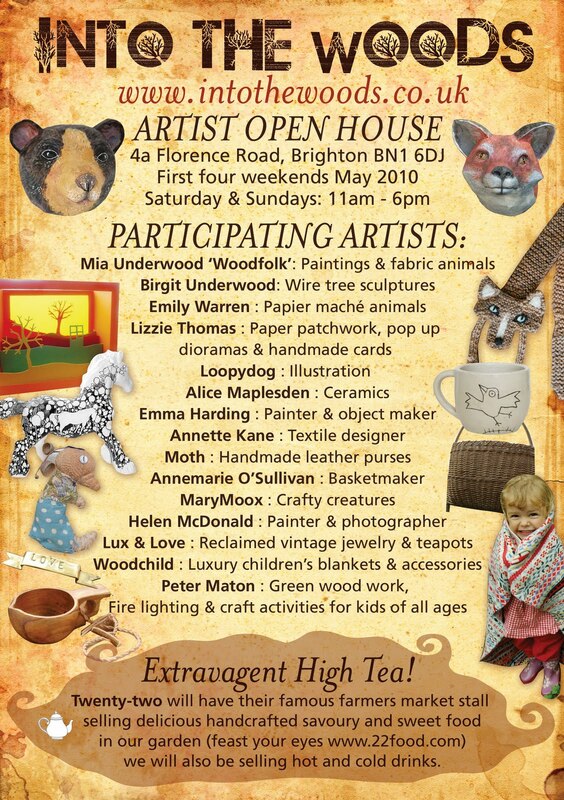 Our lovely friend "The Stealthy Rabbit" will be there and we love their papier mache' animal trophy heads. Ahhhhh....High tea and lovely chickens pecking around in the gardens. What better way is there to spend a weekend? Beginners Crochet Workshop will be on Saturday 8 May 2010 at 2PM - 5PM at the Hornbeam Centre, Hoe Street E17. We will be covering all the basics from mastering the "hold", making chain stitches and single and double crochet stitches in one 3-hour session. I will also show you how to make some cute items with your new found crochet skills such as bookmarks, bracelets and blankets! The course costs £25 including all materials and there are limited spaces available so please respond quickly to book your place as they tend to get booked up fast! Responding by email to mail@lisamargreet.com will provisionally book your place on this workshop and your payment will secure it. If you would like to pay by Paypal then I will send you an invoice so please advise when you email to me. Otherwise payment will be by cheque payable to Lisa Margreet Payne and sent to: 10 Winns Terrace, London E17 5EJ. I will also be running two Intermediate Crochet Workshops from June onwards, exact dates to be confirmed. The first workshop will teach you how to "Crochet In The Round" so you will be able to make hats and vintage-style fascinators and I'll also show you how to crochet your own buttons! 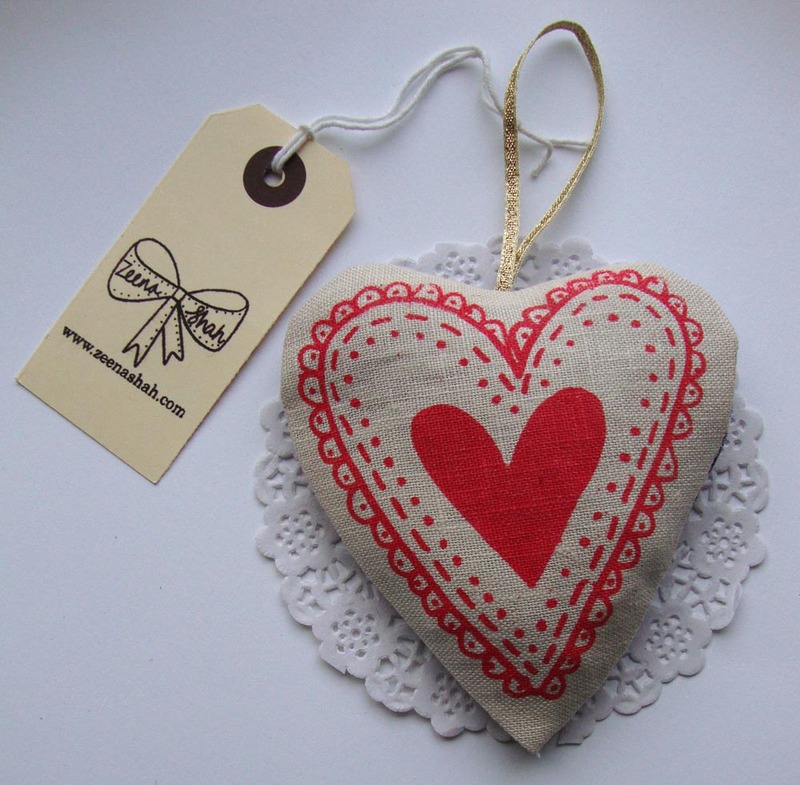 A lovely finishing touch to a handmade item. The second Intermediate workshop will teach you how to make Granny Squares and Flower appliques. Both intermediate workshops will be 2 hours long and will cost £20 each. If you are interested in attending either of the Intermediate workshops please can you email me at mail@lisamargreet.com and I'll let you know as soon as I've got the dates confirmed. Don't worry if you can't make the Beginners workshop in May as I'll be repeating the workshops throughout the year as they are proving to be very popular. 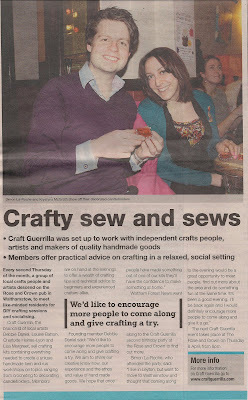 I hope to see you at the one of my workshops or at one of the Craft Guerrilla Craft Nights soon! Thursday May 13th at Ye Olde Rose & Crown from 9pm at our DIY Craft Night. "Learn to make a paper fringe flower headband. This versatile flower can be adapted to many other projects (card making, gift wrapping, etc.)." sneaky peek at what's to come... Zeena Shah! So in the meantime here's another of our lovely indie designer makers. 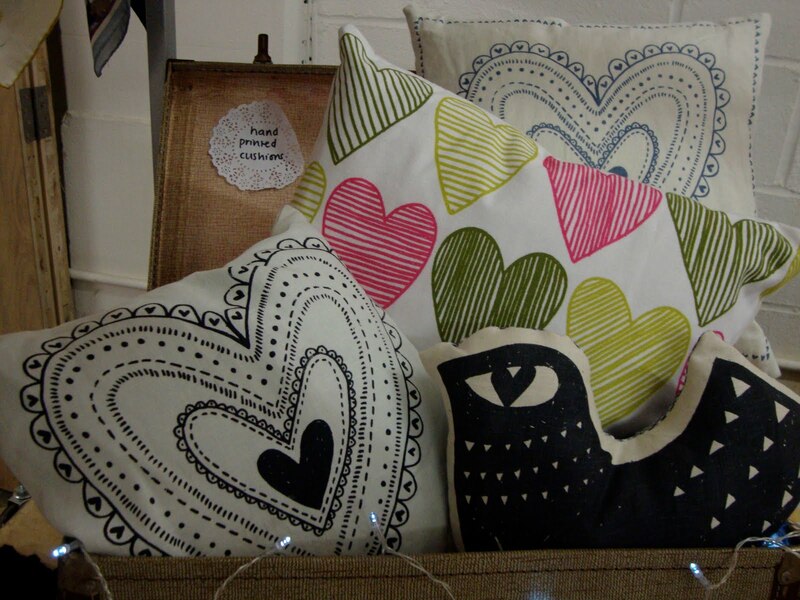 Beautiful,quirky and sweet...that's exactly what we like to see. 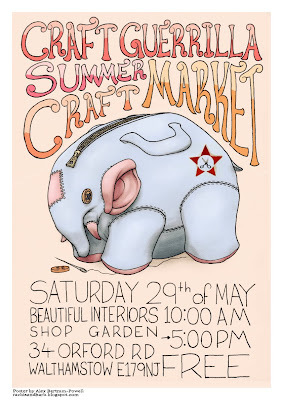 Saturday 29th May...1st edition summer craft market! Join us for our first edition on Saturday the 29th of May from 10 am to 5.30 pm. Don't forget it's free to enter... unlike lots of other fairs and markets. Plus we've got free refreshments and cocktails to keep you craft loving folk smiling! This year we have a huge selection of new boys and girls to Craft Guerrilla and the welcome return of some of our regulars including "Handsome Betty's baked goods" but as ever the hand made items on offer are among the finest, most original and gorgeous hand made indie craft you'll find in East London... surely if the cocktails don't make you smile the designer craft will! OK I'm not one to blow my own trumpet but if you think that by providing a creative and sociable event which aids and facilitates the (Walthamstow) community make us deserving of a a "Love your borough" award then please do nominate us. we have been contacted by the good people of Waltham Forest borough to consider ourselves for the award...otherwise I think we would have been too shy to have even thought we'd be eligible. It's a sad day...the father of the "up yours, we do what we like and we'll reinvent it along the way" has died. I've always seen him not as a talentless bad boy that took advantage of some young kids but as a smart, funny entrepreneur who wasn't afraid of taking the unthinkable and making it part of social history and part of our everyday life! A great trend spotter and raconteur. 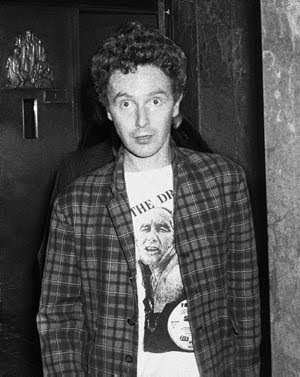 As craft punks we salute the great man: Malcolm McLaren. If anything you've taught us to not doubt our instincts, be creative and stand by our beliefs,to ride the wave and if needed to push against the current. As one of our muses we hold you very dear to our knitted hearts...Au revoir mon amis! The first of our invited illustrators has done his magic and we're very pleased with our May poster. Our craft market season kicks of at the end of May and the posters are being printed as I type. They are super cool and you can get a sneak preview on the top left of this page. Thank you Alex!!! 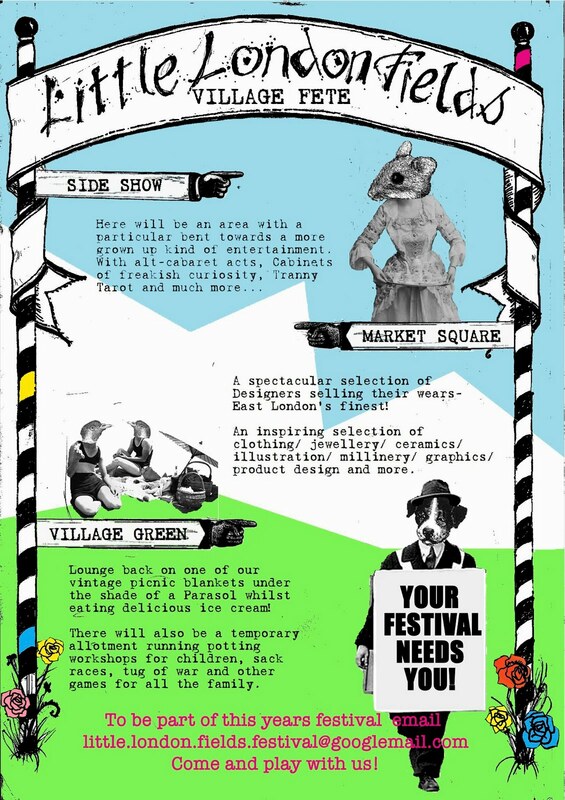 We have three more dates and we'd love to get guest illustrators involved. Because we are a self funded collective we can't pay you but we'll love you forever, post a link on our blog and web site which has a steady stream of web traffic and followers. Also we'll be happy to plug you in our Zine which we sell through our web shop,at our events and will be catalogued in the British Library. If you'd like to design our Zine then please get in touch. Again it will be unpaid but we'll credit you fully and link you up. 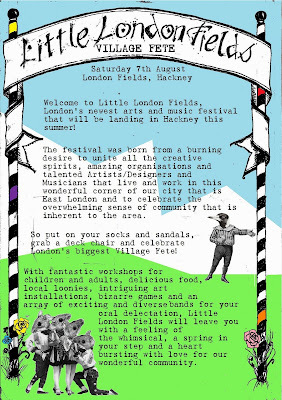 It's a great chance to get creative and design something how you'd like it! We'd give you free reign and apart from content we'd let you design and illustrate our little publication. Sneaky peek of what's to come... Naughty Rutty! "We are an eclectic and experimental lifestyle label dedicated to hand made unconventional and quirky accessories, bags and home wares. We want to reflect contrast between past and present, elegance and quirkiness and femininity and masculinity crossing the seasonal boundaries of fashion. We use a mixture of sources and recycle any and everything to create special details rather than mass produce ones." 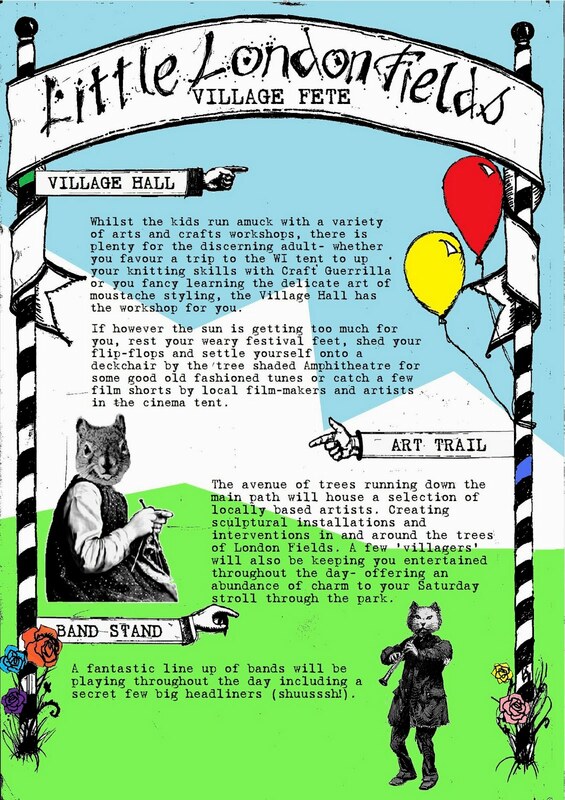 Naughty Rutty will be at our summer craft markets! We've been asked to share the following with you lovely people and we hope that it's something that might be of interest,if not to your selves then maybe you can pass on the details to others that might! Happy crafting! Looking to start selling in the hand made world or already an established designer maker? This is a perfect opportunity to test and sell your wares. 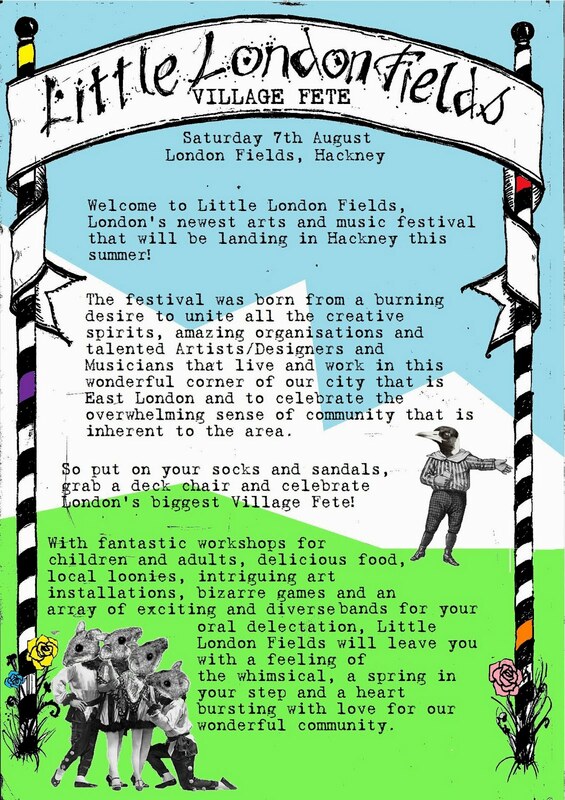 As there is no stall rent just a 10% commission from any sales to the organizers we think it might just be something you'd consider and possibly a great introduction to becoming a fully fledged designer maker. Quality Craft makers wanted to take a stall,to display and sell! Disclaimer: Please not that this event is not organized by us and has no association with our collective. Though we are happy to share and pass on the information it's completely independent and we hold no responsibility regarding outcome etc. 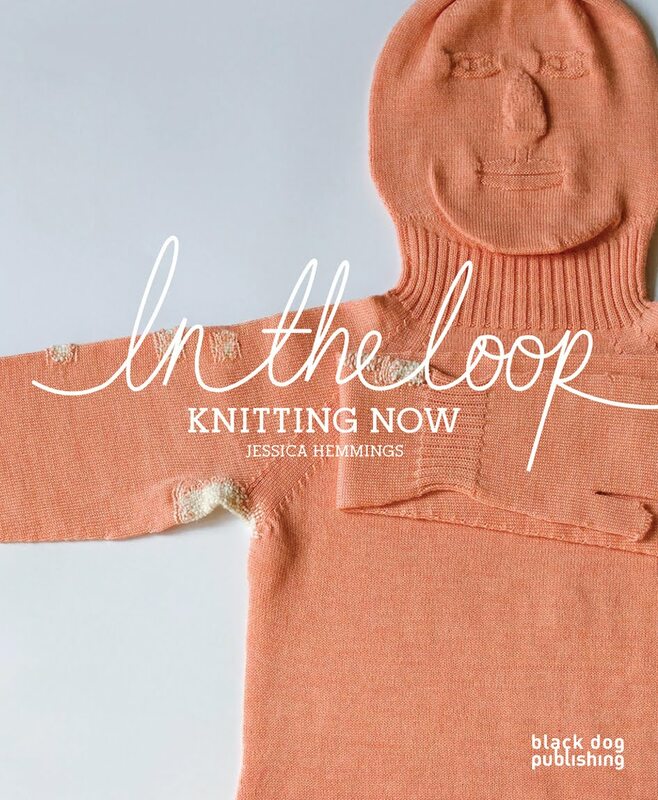 Black Dog Publishing is proud to present its latest book release; In The Loop: Knitting Now. You can get a 40% discount if you order directly using the code "CGLOOP". In the Loop explores the progression of knitting, a craft which has come a long way from its fuzzy image of thick socks and embarrassing motifs on Christmas jumpers. Now there are knitting groups that meet in quirky venues throughout the country, as well as hundreds of clubs and contemporary artists intent on reclaiming the craft. In the Loop maps knitting’s journey from solitary hobby for old maids to mainstream, contemporary trend. In the Loop features essays and images that show the progression of knitting and discusses the topics of knitting in art, international knitting traditions, knitting as social activism, the oral history of knitting, and knitting technology. The book include case studies on knitting clubs, artists using knitting in their work and provides an attractive and informative review of the subject. An essential book for anyone with an interest in contemporary crafts.